From now through July 31, 2017, we are pleased to announce a special offer on our Successor Trustee Manual Package! 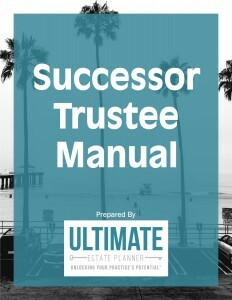 Please take a few minutes and find out more about our Successor Trustee Manual Package and what's included with this particular product. WHAT'S INCLUDED IN THE SUCCESSOR TRUSTEE MANUAL PACKAGE? Client Marketing Campaign so that you can market this new product to your clients, get them sending in their orders, and even get them to come back into your office and set up review meetings with you! PowerPoint Presentation and Script so that you have the necessary tools to explain the Manual in your seminar presentations and create a short presentation on video that you can use as a "free bonus" or incentive with the Manual (sample Quick-Start DVD not included in the Basic Package). 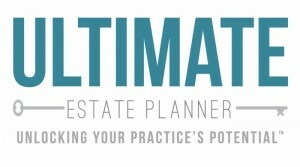 One-on-One Sales Script to help you sell more of these Manuals to your existing clients and to use it for marketing leverage to help you close more estate planning and estate administration cases. A 60-Minute Implementation Audio Training so that you can hear from Phil Kavesh himself on how to implement this package right away into your practice! The Basic Package includes a downloadable link so that you can download your product order. This Package does NOT include the Sample Binder or Quick-Start DVD. This promotion applies to the Standard and Premium Packages as well. To order a Standard or Premium Package, click here. You can use the promo code TEEMAN2017 to take advantage of the 50% discount. To preview a chapter of the Manual, simply complete the request below and we will e-mail you a chapter to review and help you make your purchase decision. The regular cost of the Basic Successor Trustee Manual Package is a one-time licensing fee of $1,695. However, if you place your order on or before Monday, July 31, 2017, you can save 50% and get this amazing tool (that has made Phil’s law firm many tens of thousands of dollars in revenue) for just under $850! Be sure to apply the promo code TEEMAN2017 when checking out to apply your special, limited-time discount! more than return your investment! so be sure to place your order before it's too late! please contact us at orders@ultimateestateplanner.com or at 1-866-754-6477. To review a chapter from our Successor Trustee Manual, please complete the form below.